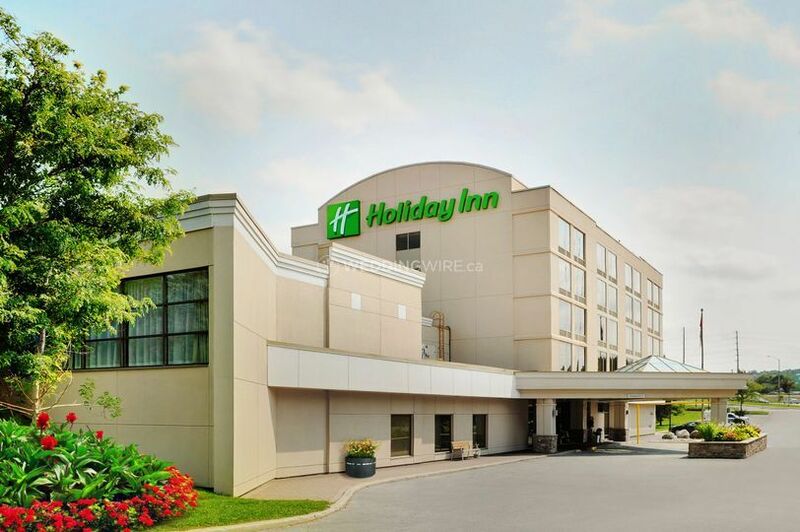 Holiday Inn Barrie Hotel and Conference Centre ARE YOU A VENDOR? 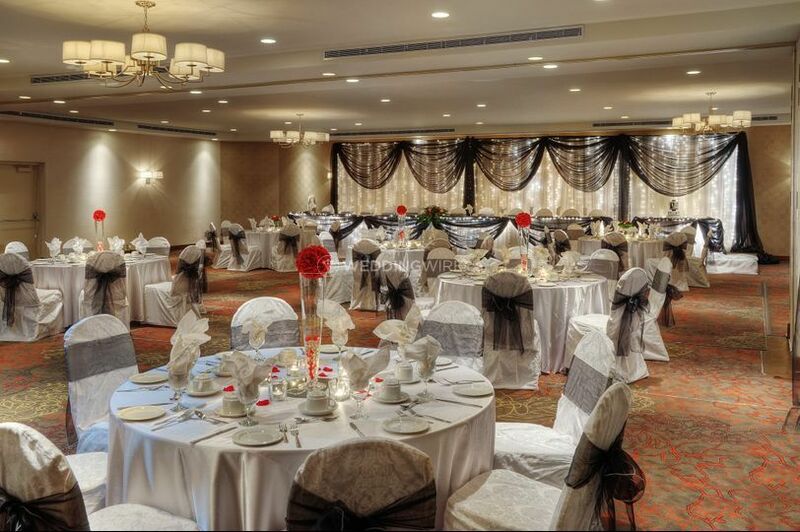 Holiday Inn Barrie Hotel and Conference Centre is a venue located in Barrie, Ontario that specializes in hosting weddings and special events with first class service and outstanding facilities that are ideal for small and large weddings alike. 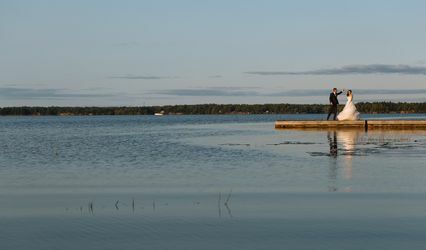 It has an experienced wedding specialist on site to assist you in creating the most magical and unique day of your life. Let them handle all the details so you can relax enjoy your special day! 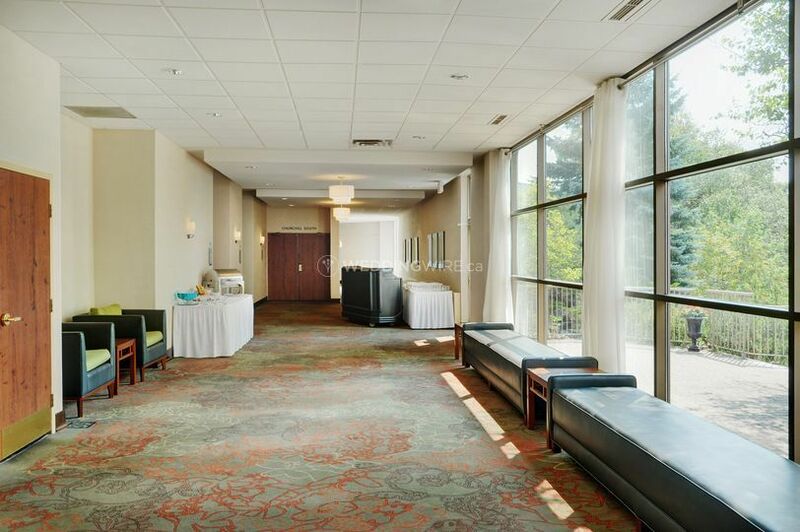 The facilities offered at this hotel venue include two halls available for the wedding reception. 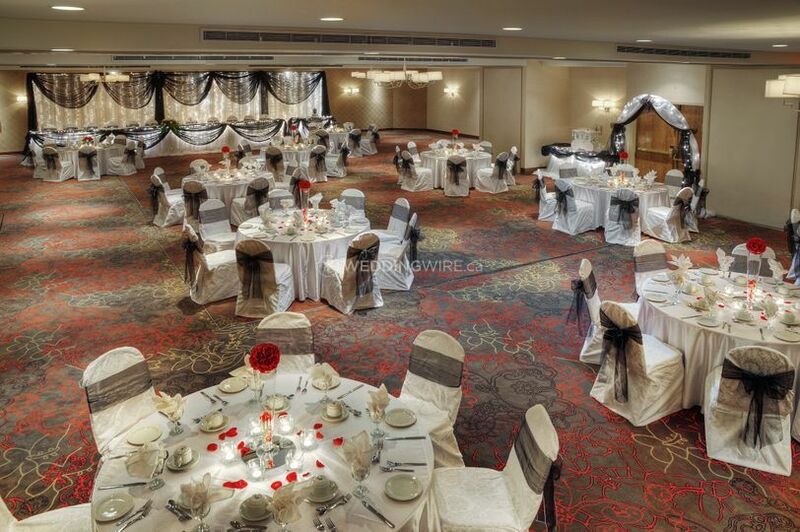 The Churchill Ballroom which can accommodate larger weddings of up to 270 guests, or the more intimate Oro/Essa Room which has a capacity for up to 60 guests. 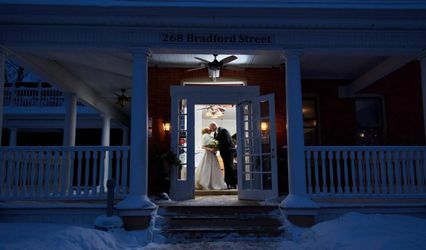 Depending on the wedding package selected, the cuisine options can include hors d'oeuvres, a 4-course dinner from the hotel's dinner selections (includes appetizers, soup or salad, entrée, dessert, coffee & tea). Two bottles of house wine per table is also included. Platters, carving stations, and sweet tables can also be provided. 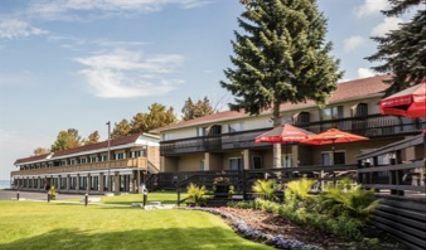 The hotel's accommodations include well-appointed guestrooms in different styles to suit your needs. 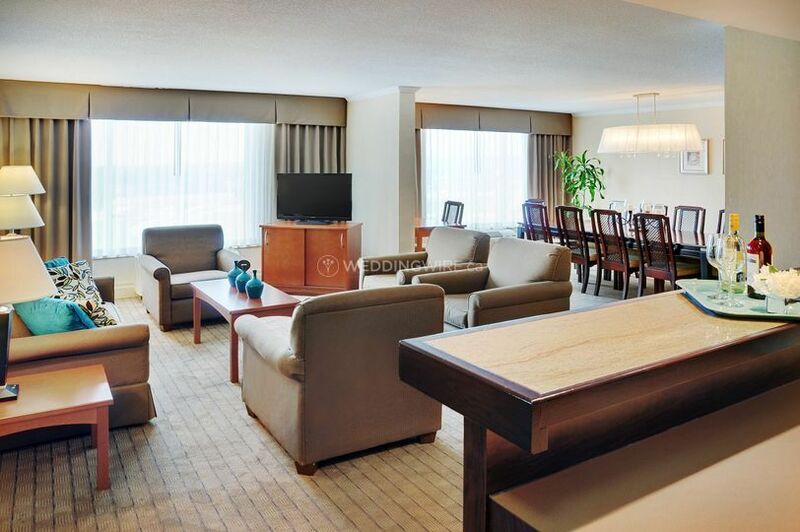 These rooms include coffee makers, complimentary parking, and high speed internet. 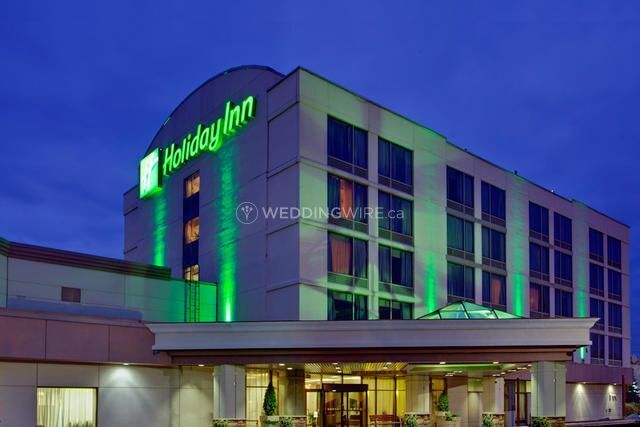 Room blocks are also available at a discounted rate to your wedding guests. 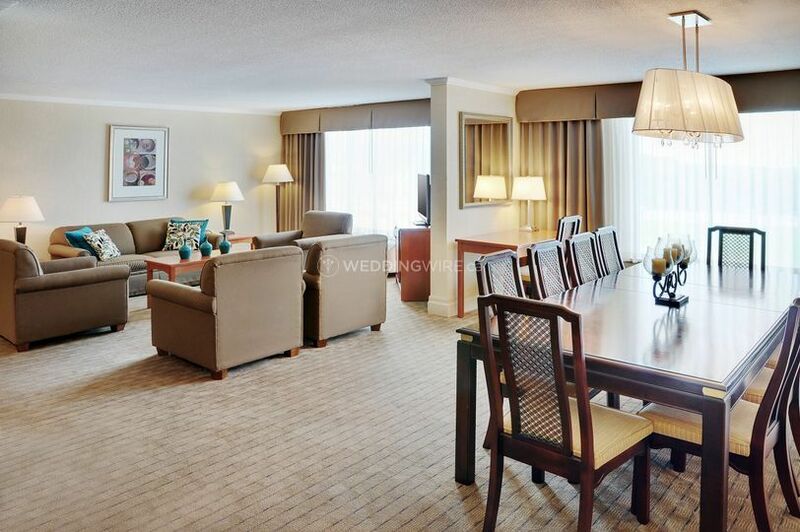 If a minimum of 12 rooms are reserved for your guests, a complimentary 13th room will be added for a one night stay.